When projects fail, it’s often because they were badly managed. And when project's fail, they often cause high costs for organizations. Here are three lessons learned from PMI's recent Pulse of the Profession. The Project Management Institute (PMI) surveys project management practitioners, senior executives and PMO directors and publishes the results in the “Pulse of the Profession” report. 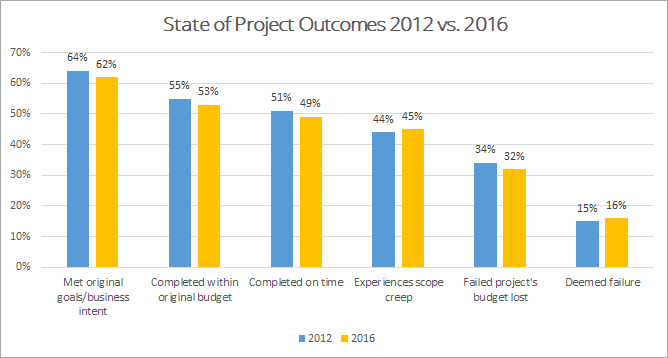 One focus this year was the survey of executives and PMO leaders to find out why the percentage of projects meeting their goals has fallen compared to previous years, instead of improving. So why aren’t more projects completed successfully? One of the main reasons is that while there is evidence that organizations which invest in project management produce much better project outcomes, organizations still underestimate the importance of project management for organizational success. Executive leaders want to improve their organizations competitiveness, but do not fully yet see the value of improving important project management capabilities that are the key to project – and ultimately organizational – success. This neglect is extremely costly, because for every US$1 billion invested, US$122 million is wasted because of project failures or low performing projects. Let’s take a look at the result of the survey to examine why project performance has declined and what organizations can do to change this. The overall conclusion is that low project performance is due to a stagnation in key project management aspects such as project management maturity, practices and PMO. It’s because of this little to no improvement that organizations are increasingly unable to meet their project and organizational goals. 45% of participants do not believe that their organization fully understands the potential of project management. This is surprising because organizations which put much more importance into developing a “project management culture” report that 71 percent of their projects are completed successfully. Whereas organizations that do not have a strong project management culture report that only around 50 percent of their projects meet their original goals. What is the lesson learned? Organizations need to make project management a much higher priority if they haven’t done so yet. They need to implement project, program, and portfolio management practices, work towards increasing their project management maturity and continue improving their processes and practices. By doing so, they can increase their project success rate and as a result waste less money on delayed or failed projects. Projects that have executive back up are much more likely to meet their goals (76% versus 46%). The PMI even states that “an executive sponsor’s active engagement is actually the top driver of project and program success”. The reason is that the executive sponsor has the necessary project management knowledge but also business knowledge to make quick decisions and smooth out problems for the project team. They also serve as champion of the project in front of senior management, which means that they will make sure that the project takes top priority and gets all necessary resources. In order to improve project performance, the whole organization must undergo a mindset shift. It is not enough to have technical skills, but organizations should also put an emphasis on developing their project managers’ leadership and strategic business skills. When organizations invest in ongoing project management training, establish formal project management strategies and processes, and offer their employees a defined career path in project management, they will see that project outcomes will be much better compared to organizations that do not invest in these areas. Organizations who have an aligned PMO are much more likely to meet their project goals, stay within budget and deliver it on time. They are also much less in danger of facing scope creeps and project failure. 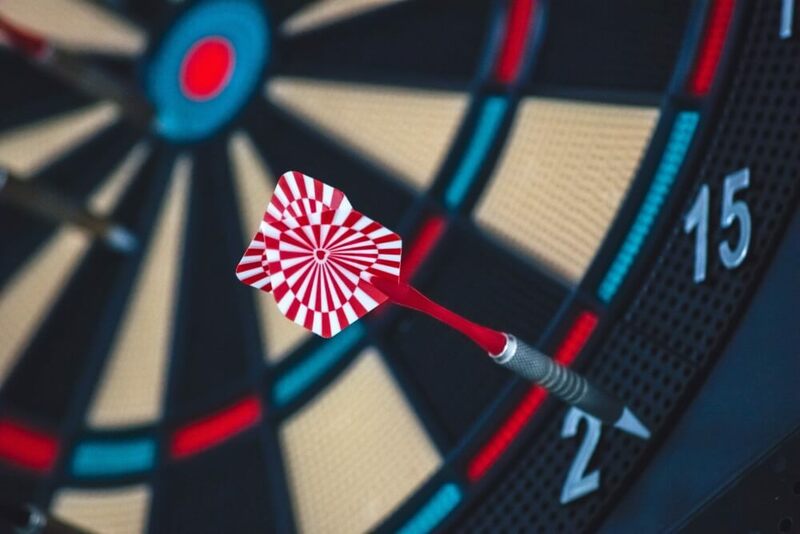 Missing the Target: Badly Managed Projects and their High Costs - InLoox • Copyright 1999-2019 © InLoox, Inc. All rights reserved.